When it comes to making your home, there’s nothing that can add so much personality as your unique decorating touches. Some people love, love, love to decorate and they have quite a flair. Others aren’t so gifted in that area. 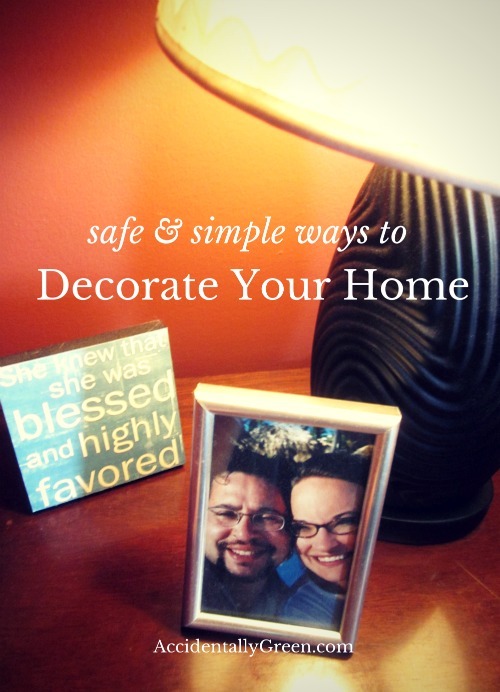 Regardless of your decorating ability – or your finances – there are safe, simple and environmentally friendly ways to infuse your own personality into your home décor. How are they safe? They’re resourceful ways to reduce your exposure to harmful products like offgassing furniture, paint or stain. How are they environmentally friendly? By following these tips, you’ll uniquely decorate your home while reducing your carbon footprint. If you have an unlimited budget to spend on your space, make healthy choices like hardwood flooring, environmentally friendly jute area rugs and baskets, organic cotton sheets and organic latex mattresses. If you’re like me and are limited by your home decorating budget, you can still make wise choices. Try a coir welcome mat instead of one made with polypropylene and rubber. Opt for a cloth shower curtain instead of a PVC variety. Excessive decorating has become a fad of the past. (Anyone else remember the popularity of country clutter in the ’80s?) Today’s minimalistic trends are the complete opposite. And yet, since decorating is completely dependent on your preferences, it doesn’t matter if you like excess or moderation – choose what you like. That being said, today’s trends make it easier to embrace the practice of less is more. If you can get away with less stuff in your home, the easier your life will become. You’ll have less dusting, less clutter … less stuff. Cull your belongings, make a little extra cash and bless someone else’s day with your belongings. Find natural elements – seashells, pebbles, fruit, vegetables – to use as decorations. Raid your cupboards for different kind of things to spotlight. Can you display different kind of glassware? Move seasonal books to an end table. Switch the photos in your picture frames. By switching up what you already have, you’ll bring a fresh touch to your living space without spending a cent. Listen for hand-me-down opportunities. Sometimes people just want to get a particular piece of furniture out of their house. Could you use it? Even if it’s not exactly what you were looking for, could you somehow change it to reflect your style? Shop around. 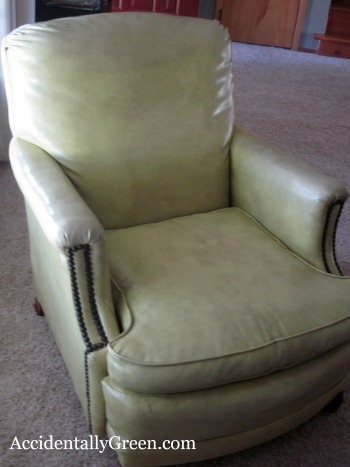 Hit garage sales, thrift stores and estate sales – you’ll be amazed at what you’ll find! 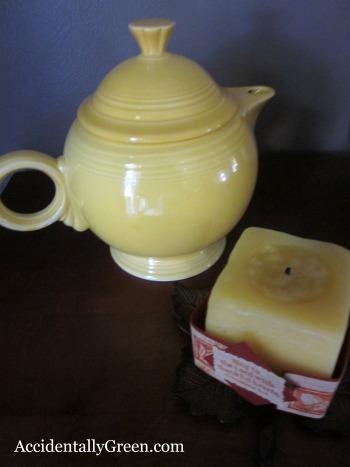 You can create an eclectic yet homey haven by recycling someone else’s old belongings. Remember – one person’s trash just might be your treasure. 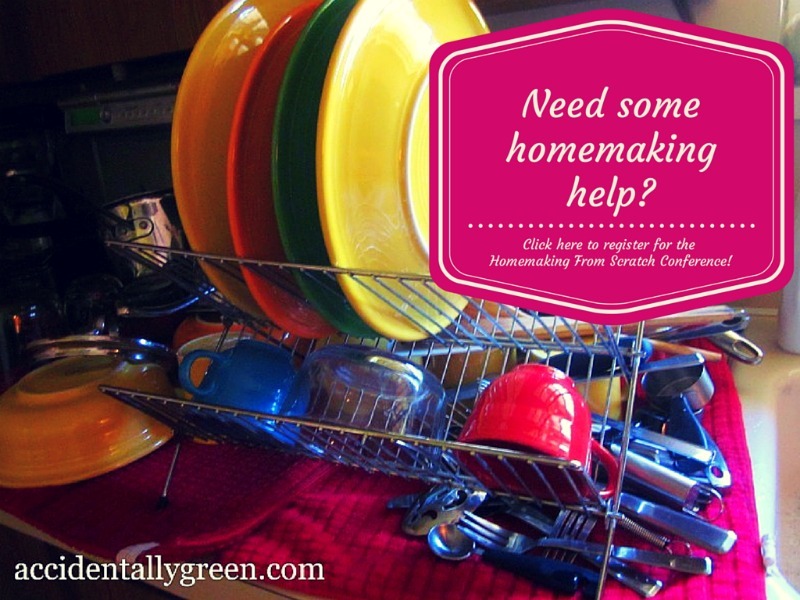 Need some help with your homemaking efforts? You HAVE to check out the Homemaking From Scratch online conference. Instantly download the sessions and keep them forever!